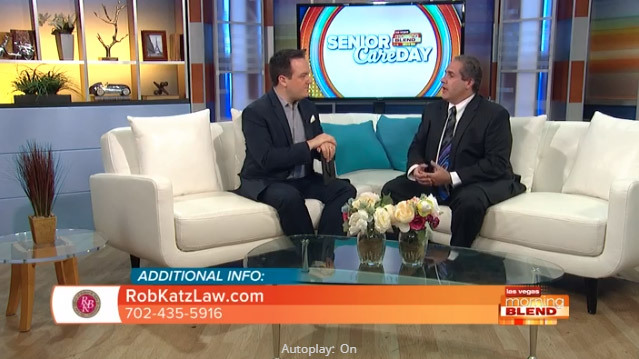 We were recently featured on KTNV’s Morning Blend show to discuss our expertise in elder law. Need-Based Government Benefits, i.e. VA Benefits and the Medicaid program. Private-paying for care often means total indigence. The average cost of nursing homes on the West Coast range from about $7,600 to $9,700 per month. Assisted living facilities are about half the cost of nursing homes but still cost too much for many to pay without outliving their savings. Many people spend all of their savings in nursing homes and then have nothing left. Not a very good option! Long-term care insurance works for some but most people considering nursing home care do not have long-term care insurance and either cannot qualify for the policies or cannot afford the premiums. Long-term care insurance is therefore often not an option. Need Based Government Benefits – This leaves Veteran’s Benefits and the Medicaid program. Medicaid benefits vary state-to-state. For example, in California, Medicaid pays for almost all nursing homes including the finest of facilities (you sometimes need to know the tricks to getting in!) and Medicaid increasingly covers assisted living facilities as well. However, in Nevada, Medicaid does not cover assisted living facilities nor memory care facilities. But in order to qualify for Medicaid, applicants must typically have less than $2,000 in savings and less than $2,250 in income (2018). Want more information? Call in California (818) 716-6110; in Nevada (702) 435-5916; in Arizona (602) 254-2227; in Oregon (971) 373-6301; and in Washington (206) 693-2640 to arrange a meeting or go online to www.robkatzlaw.com. We have offices in Sherman Oaks, California; Las Vegas, Nevada; Phoenix, Arizona; Portland, Oregon; and Seattle, Washington.